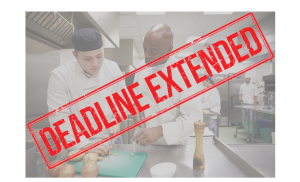 UPDATE: Food safety deadline extended to April 1, 2019. More information can be found here. Meeting the Food Safety Certification deadline has been an urgent need for restaurants. A news release from the New Mexico Environment Department has confirmed that the implementation deadline for certification has been extended indefinitely. For further information, contact your local Environment Department field office. Find your office here. Visit the NMED Food Program’s website here.